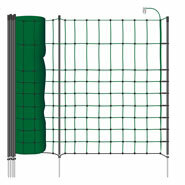 Our premium complete pond netting kit provides a secure fencing system for fish ponds – with a 50-metre protective fence. 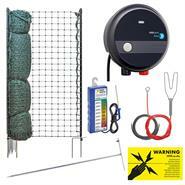 If you own a pond, this VOSS.PET® pond netting kit for defence against herons gives you everything you need to protect your pond life. 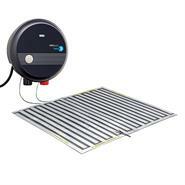 Whether it's farmed fish, ornamental fish or frogs – with this flexible electric netting your animals are always well protected. 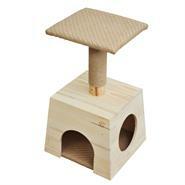 You can rely on it to deter visitors such as herons, cats, martens etc. 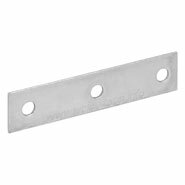 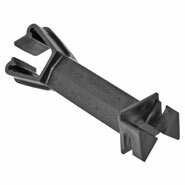 You don't have anything more to worry out, because we've already put together all the fence components for you. 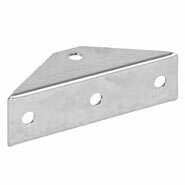 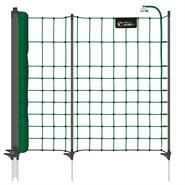 This means you get a secure and reliable pond fence system with high-quality material components. 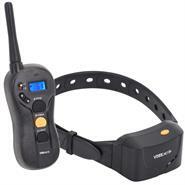 Only quality products are used in the complete kit for defence against herons from the firm of VOSS.PET®. 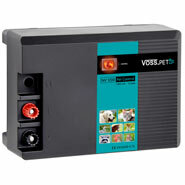 The VOSS.PET® complete kit for defence against herons includes the reliable VOSS.farming® "impuls V30" mains energiser. 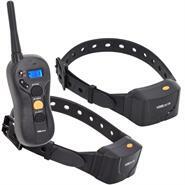 It is extremely powerful thanks to the innovative PowerShock technology. 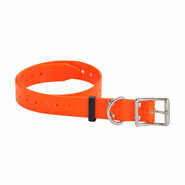 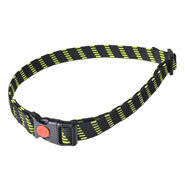 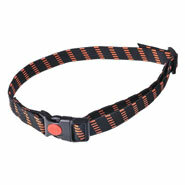 This means it can be relied on to repel predators: the safety of your animals is guaranteed. 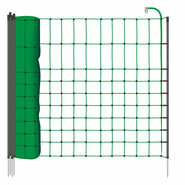 A microcontroller permanently monitors the fence voltage and a fault on the fence is immediately indicated by a red light. 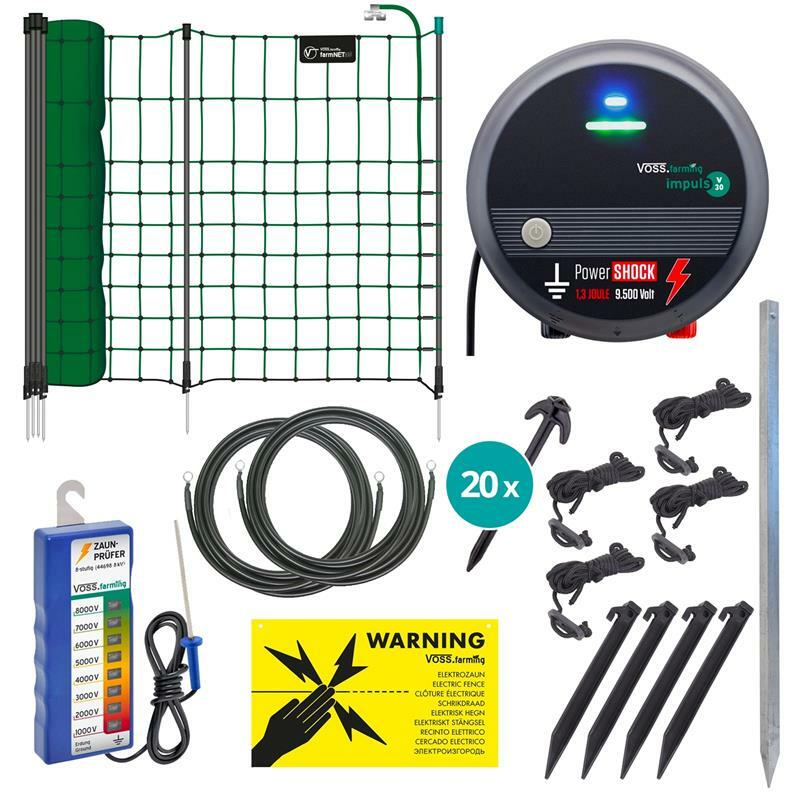 The VOSS.farming® farmNET®+ electric netting for small animals with green polywire stands firm round your pond thanks to its 20 sturdy plastic posts. 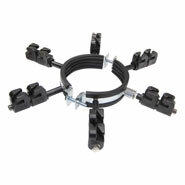 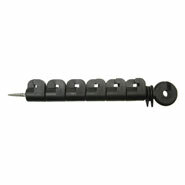 All the cables, posts and pegs you need to build your pond guard are included in the kit. 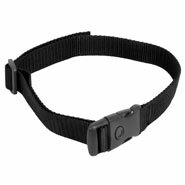 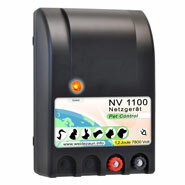 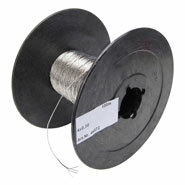 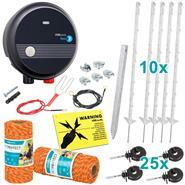 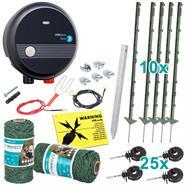 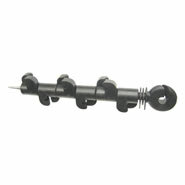 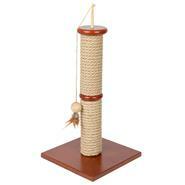 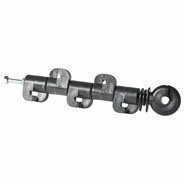 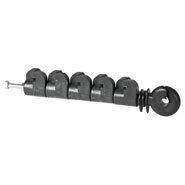 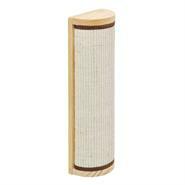 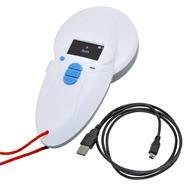 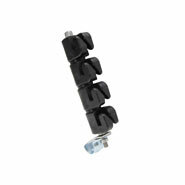 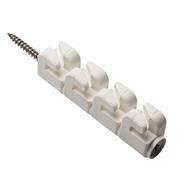 It also includes an extensive range of accessories, such as a fence tester and a repair kit for electric netting. 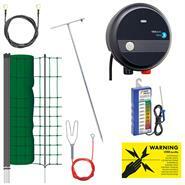 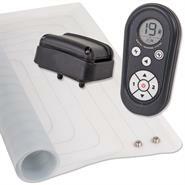 Naturally the pond guard kit also includes warning signs that identify the electric fence. 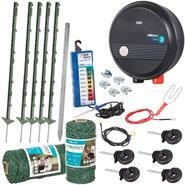 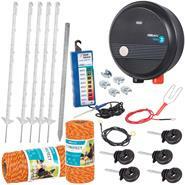 You're marking a first-class choice here, because the pond guard kit is quick and easy to assemble.